November in Vegas is the perfect time of year to enjoy the cooler weather as well as a few things that make the Las Vegas Strip sizzle. Whether it’s a balloon ride floating above the Strip, or a poker competition that’s heating up, it’s all happening this weekend in Vegas. The “Diceman” can make you laugh with his dirty humor and raunchy comedic act. Andrew Dice Clay will be at the Riviera Nov. 7 – 8 at 10:30 p.m. Tickets start at $54.99. 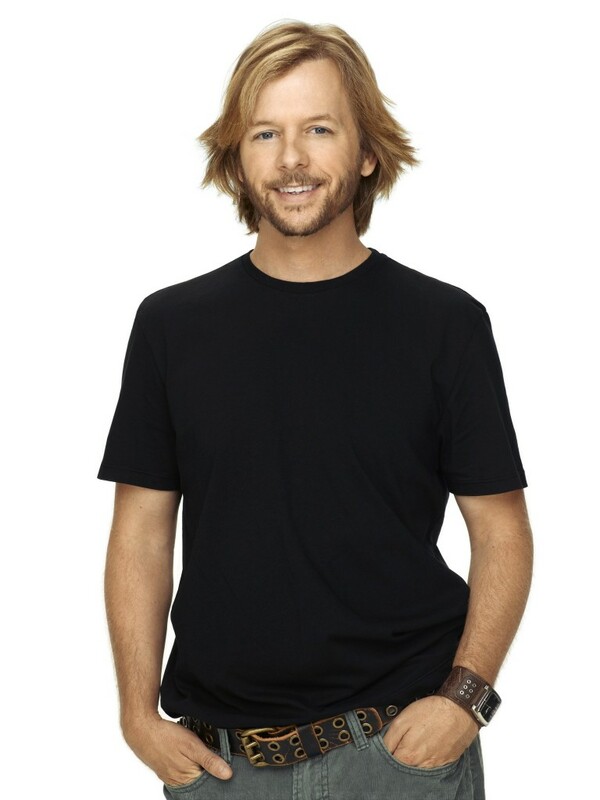 David Spade will be at The Venetian Showroom on Nov. 6 – 8. Many remember Spade from his work on “Saturday Night Live.” He also starred in the movies “Black Sheep” and “Tommy Boy.” Spade tickets start at $85.75 and show times are 9 p.m.
Start practicing your salsa moves and let the Tenth Annual Latin Grammy Awards move you to the hot Latino beat! The Latin Grammys will take place at Mandalay Bay Nov. 5. You can dance, you can jive and have the time of your life at Abbacadabra. The ABBA tribute band will perform 20 of ABBA’s greatest hits including “S.O.S.,” “Dancing Queen” and “Take a Chance on Me.” Abbacadabra dances into the Hilton Theater Nov. 7 – 8. Tickets start at $26.85 and show times are 8 p.m. If you like music, listen to the sultry sounds of Motown with “Human Nature – The Ultimate Celebration of Motown Sound presented by Smokey Robinson.” Toby Allen, Phil Burton, Andrew Tierney and Michael Tierney perform harmonious arrangements of Motown favorites like “Reach Out I’ll Be There,” “Baby I Need Your Loving” and “My Girl.” The show takes place Nov. 7 – 8 at the Imperial Theater inside Imperial Palace. Tickets start at $59.52 and show times are 7:30 p.m. Listen to Kelly Clarkson belt out her hits as she brings her “All I Ever Wanted” tour to The Joint at the Hard Rock Hotel on Nov. 6. Clarkson, with special guest Parachute will perform at 8 p.m. Tickets start at $49.50. Country diva LeAnn Rimes will entertain fans at Treasure Island Nov. 5 – 6. Show time is 9 p.m. and tickets start at $80.90. Head over to the recently opened Hard Rock Cafe on the Las Vegas Strip for great food, rockstar memorabilia and a night with the band Everclear. With hit songs like “Father of Mine” and “Everything to Everyone,” Everclear will take the stage Nov. 8 on the top floor of the Hard Rock. Doors open at 9 p.m. and tickets start at $20. Must be 21 or older. Beijing Noodle No. 9 is offering nine tastings for $19.99. In honor of their lucky number, guests can enjoy nine small dishes including Imperial seafood soup dumpling, noodles with pork and green tea ice cream. Stock up on sweets at the Sugar Factory. Located in the Mirage, this candy store satisfies your high-end sweet cravings with various chocolates and candies. While there, grab a crystal-coated couture lollipop from Kim Kardashian or The Pussycat Dolls. If you think you have what it takes to stuff 300 meatballs in your mouth in five minutes, than consider entering the Martorano’s Masters Meatball-Eating Championship. If you’re not quite ready to eat that many, then leave it to the professional eaters like Joey “Jaws” Chestnut, who is ranked No. 1 in the Major League of Eaters. The competition will take place Nov. 8 at noon at Café Martorano. Admission is free. This Saturday, it gets a little Southern, y’all. On Nov. 7, enjoy the sounds of the Dirty South with DJ Reza opening at Rain Nightclub. The show is part of an ongoing series, Paul Oakenfold Presents: Perfecto Vegas, featuring underground talent, great audio and visual components to each performance. Fall is the perfect time of year to experience the cooler desert air. There’s no better way to do so than 51 stories up at the Voodoo Lounge at the Rio hotel. The nightclub features both indoor space and an outdoor patio complete with DJ booth, bottle service, comfortable seating and dance floor. Don’t forget to take a few pictures of the amazing view of the Las Vegas Strip. From 6,494 players to just nine finalists, the 40th Annual World Series of Poker wraps up with players battling for their share of $27 million. On Nov. 7, the “November Nine” will narrow down to the final two players. Then on Nov. 10, playing will resume and the winner will be rewarded with the champion’s bracelet and $8.5 million pot. The championship will be held at the Rio All-Suite Hotel & Casino. Up, up and away! 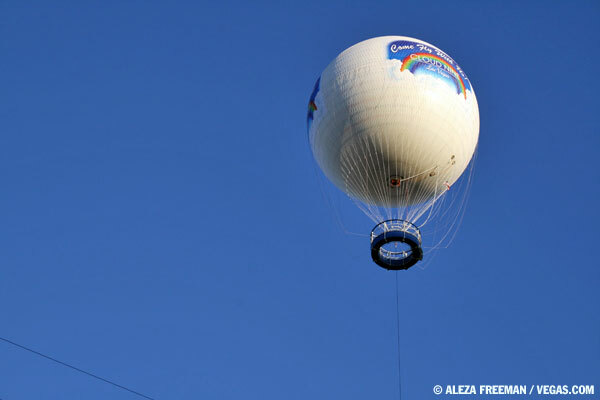 Float over the Las Vegas Strip in the world’s largest land-tethered helium balloon ride. The Cloud Nine Balloon Experience offers 25 – 30 guests a sky-high view of Las Vegas. The 11-story high balloon takes off daily from the south end of the Las Vegas Strip, across from Mandalay Bay. Tickets for adults start at $22.50 per person. America’s original extreme sport, bull riding, stomps into town for the The Professional Bull Riders World Finals. The event features a 150-pound cowboy on the back of a hulking, snorting temperamental 2,000-pound bull. The goal: Stay on for eight seconds. Oh, and just to make it interesting, one of the cowboy’s hands is strapped to the bull’s massive backside. Catch all of the action at the Thomas & Mack Center Nov. 5 – 8. Prices start at $38.05 for a one-day ticket. Howdy. Initial I would like to say that I genuinely like your web site, just identified it the past week but I have been reading it ever since then. Thank you for the great weblog and I hope you preserve up the excellent do the job. If you do I will continue to browse it. Thanks for the very good article! It’s top quality. I have been visiting your website for a a while already and it’s the first time I leave a comment. Keep up the very good job and keep on delivering the best value!